Supporting the long-term sustainable management of TransFrontier Conservation Areas in southern Africa (Botswana, Mozambique, Zimbabwe) through a multi-stakeholder participatory process to co-designed sustainable management options. TFCAs are composed of complex socio-ecological systems. ProSuLi recognises fundamentally that TFCAs encompass a set of stakeholders (e.g. local communities, NGOs, local government, private sector, researchers), interacting through a complex governance system (e.g. chieftainship, national government, international wildlife regulation), who have an unbalanced access to natural resources (e.g. water, grazing, wildlife, wood). The success of TFCAs relies on the recognition of the ecological interdependency between stakeholders and with their ecosystem, the recognition of the plurality of their views, needs and constraints and the need for negotiations in order to achieve a shared common vision of a sustainable TFCAs. TFCAs have been defined, and endorsed at the highest level of states, as integrated development and conservation opportunities for remote and neglected transboundary areas. They are not defined as purely conservation-based initiatives even if conservation actors have historically promoted their creation. Promoting the livelihoods of local communities within TFCAs is crucial to the success and the sustainability of TFCAs. However, today in most TFCAs, the integration of conservation and local development objectives is rather the exception than the norm. Conservation objectives prevail under the assumption that it is by promoting the conservation of wildlife populations and supporting the development of a wildlife economy that local development will automatically follow. This paradigm is flawed, as large human populations cannot source their livelihoods entirely from wildlife-based activities. By sticking to this paradigm, TFCAs miss a true opportunity to be at the forefront of a new way of conceiving the links between human well-being, social and ecological solidarity– arguably the most sustainable model for the future. Common pictures across TFCAs are that of frustrated local communities observing conservation NGOs spending most of their time and resources to protect wildlife, local government officials enforcing anti-wildlife crime regulation but failing to design and/or implement adequate benefit-sharing of natural resources and, a private wildlife sector generating profits without sharing equitably the benefits with other legitimate owners of the wildlife resource. In the meantime, “on the other side of the boundary”, local livelihoods struggle to make ends meet with limited and mostly undesirable development options, such as urban migrations, external work in mines or industrial farms and organised poaching. 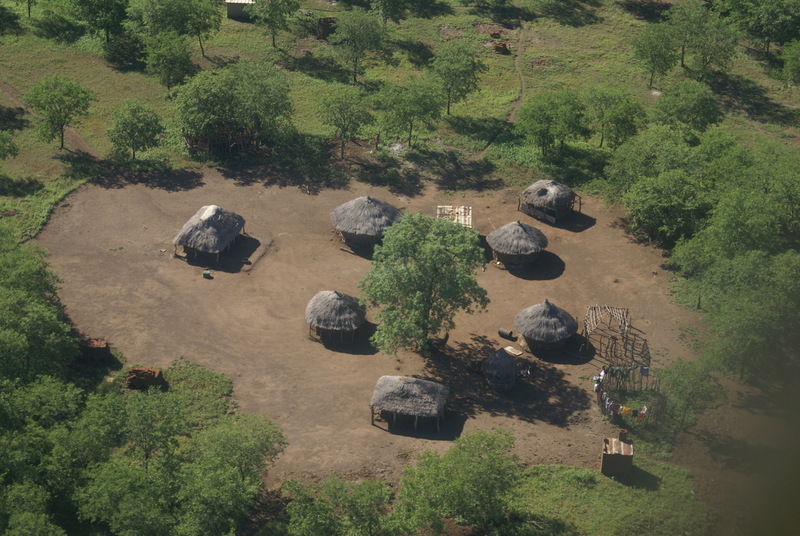 In addition, local communities are stigmatised by local and national governments, as well as conservation NGOs and global public opinion for their “negative” perceptions and behaviour towards wildlife including poaching, unsustainable use of natural resources and poor support of and/or interest in conservation; a situation that is surely undermining the success of TFCAs. Of course, there are exceptions and (few) success stories exist. The principles of ecological interdependency and collective action should be at the roots of the process for the development of innovative institutional models of natural resource management. This could be achieved through: the recognition of the plurality of actors, their values and practices; the empowerment of all stakeholders into the decision making process about land and natural resources management; addressing potential conflicts by promoting dialogue/debate among conflicting views, interest and practices; promoting through mediation the co-design, testing and implementing of a collective project and the development of specific rules and practices for sharing use right about land and resources, which should lead to learning and co-learning through experimentation, monitoring and evaluation in a real world setting. This is not about creating blue print solutions, as no unique/common solution will work across the complexity and diversity of socio-ecological contexts encountered in TFCAs, but it is about building processes that can lead TFCAs to achieving their objectives. There is a need to increase positive interactions between local stakeholders that have so far largely defined their relationship over biodiversity conservation around conflicts and negative interactions. We hope that by addressing these needs will allow for a paradigm shift in perceptions of local stakeholders towards each other and promote transformation towards a truly operational model for the sustainable management of TFCAs. The ProSuLi project aims at promoting and strengthening the sustainable management of TFCAs through local development respectful of biodiversity conservation, by promoting a change in attitude from local communities towards TFCAs and a paradigm shift on their role in the co-management of TFCAs. The main objective of ProSuLi is to create, or capacitate when already existing, functional multi-stakeholder interaction processes at a local scale to sustainably manage local resources. The project will adopt the process of Commoning to promote dialogue between multiple and potentially conflicting views, by diagnosing existing conflicts and collectively investigating management options and co-designing innovative institutional organizations. It aims at redefining collectively the allocation of users’ rights over shared resources, the rules of inclusion and exclusion of the right-holders, as well as the terms and conditions of costs and benefits sharing. Such social dynamic connecting local efforts into a self-organized network can facilitate the emergence of, and strengthen, local communities of practice. We postulate that such process of collectively investigating, promoting and monitoring a common goal among stakeholders, beyond each individual groups constraints or interests, can set the path for developing or strengthening the involvement of all stakeholders into TFCA governance and conciliate conflicting views about wildlife management options. Stakeholders’ interactions will be promoted through their enrolment in a participatory process to co-design, test and implement integrated local development and conservation management options. This means that once relevant stakeholders have been identified and are represented in a local multi-stakeholder group, a shared and accepted vision of the future of the socio-ecosystem can be discussed; priorities can be identified and management options and their monitoring can be co-designed and implemented. The activities will encompass sustainable agricultural and natural resource management activities and innovative strategies to mitigate human wildlife conflicts and illegal activities. We don’t pretend to have the solution to ensure the sustainability of TFCAs, but we will test an option of collective management. Academic institutions with a strong history of collaboration form the “ProSuLi for sustainable TFCAs” consortium with extensive experiences in applied research processes engaging local stakeholders to identify and address issues related to the sustainable management of TFCAs. 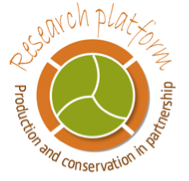 At the heart of the consortium is the Research Platform “Production and Conservation in Partnership ” – RP-PCP (www.rp-pcp.org) promoting the coexistence between people and protected areas in TFCAs for the past 10 years. The action will fit into on-going field programmes at different stages of achievement in 4 sites in Botswana, Mozambique and Zimbabwe, in collaboration with local stakeholders (e.g. NGOs, Private wildlife industry). The conceptual design of this project is the direct output of a process started during the FSP RenCaRe project (https://www.rp-pcp.org/projects/completed/fsp-rencare) on which was based the conference “Co-existing with(in) TFCAs: Local perspectives” in 2017 (http://tfcaportal.org/node/875).